YU Yuphoria has been the talk of the town these days. It stands firm at a whooping price of 6999/- with amazing specifications and Cyanogen OS 12 at this price range is outstanding. Let me discuss a few Frequently Asked Questions of people who are interested in buying YU Yuphoria. Can we trust YU ? How to Buy a YU Yuphoria ? 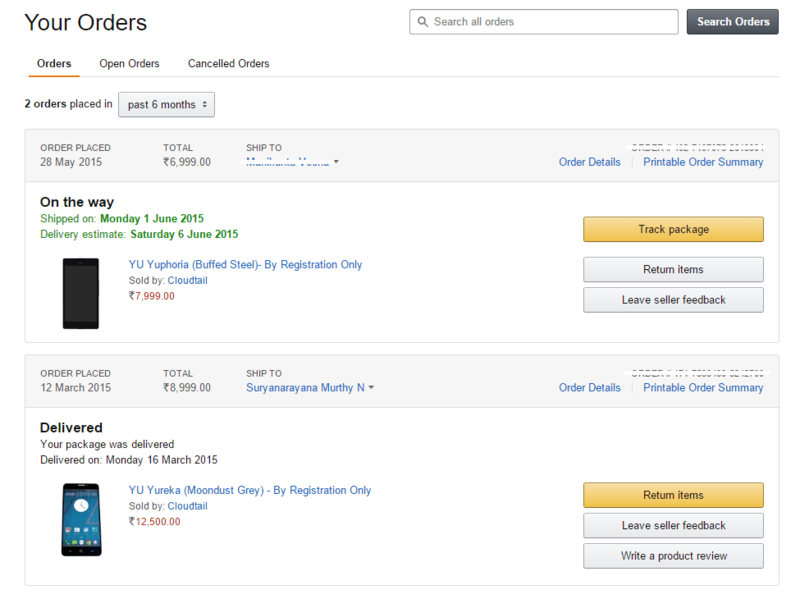 I’ve succeeded in grabbing a YU Yuphoria in the very first sale itself i.e on 28/05/2015 for my friend and didn’t for the next sale. I will write a review on it as soon as I get it ibto my hand. 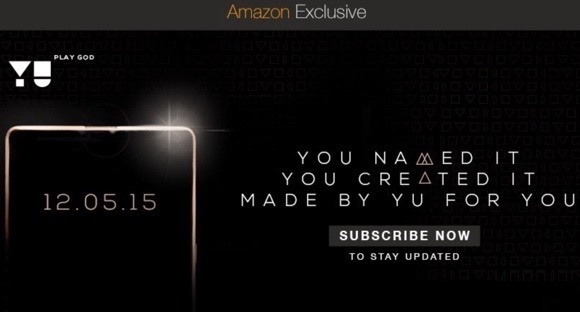 I believe YU Yuphoria will be as good as YU Yureka. I am also successful in getting YU Yureka in a sale as shown in the photo. The thing one should know is Amazon Flash Sale is far better than Flipkart because Amazon is fast loading and its easy user interface helps everyone to get a handset in the sale. I say there is nothing unfair in this flash sales it all goes very transparent and today I will let you help how to grab a YU Yuphoria. And for god sake please don’t use and believe in scripts. They never work.You may loose a opportunity of buying one instead. Register for the sale – Registering for a sale is as simple that you just need to hit the subscribe at the Amazon YU Yuphoria Landing Page with your Amazon account or a new one. However you can’t make registrations the day before the sale. Note that you won’t get any mail or confirmation that you are registered for the sale. It just says you are subscribed for the sale. Here comes the crucial part . How to grab a YU Yuphoria on the day of sale ? Follow the below steps carefully and I’m sure you’ll grab a Yuphoria. Trust me. 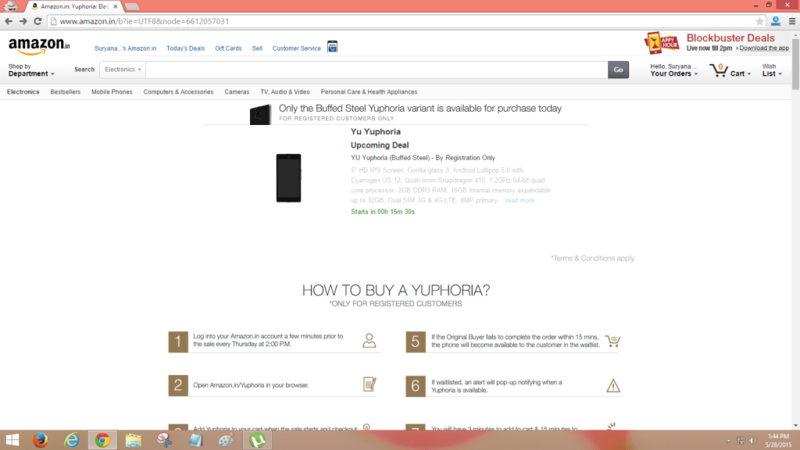 Open the Amazon YU Yuphoria Landing Page in your PC/Laptop instead of mobile. Chrome Browser in a New Incognito Window. If you don’t know that simply open Chrome and press Ctrl+Shift+N. It boosts up your browser’s speed.Make sure you open the landing page on your computer atleast half an hour before the sale and don’t try close the tab or refreshing the window until the sale. Make sure you see a timer like this during the sale. Keep your mouse cursor near the timer as the Add to Cart appears just beside that. As the time ends be quick to click on the button and adding it cart is as simple as that :). Yu need to complete your transaction in 15 minutes of the sale. However there is a option for Cash on Delivery , you must be quick. And its done. You’ve successfully ordered a YU Yuphoria in the sale. I myself try to pick anyone who cannot order a YU Yuphoria sucessfully. Mention your details in the comments and we will look into it if you are really serious in buying a YU Yuphoria. UPDATE: Thanks for your overwhelming response . Sorry to say that I cannot order anymore YU Yuphoria’s . However you try this trick and I assure you that you can really grab a YU Yuphoria in the Flash Sale.